Some schools will hire you with no experience and others won’t even give you a second look. The good news is there are a plethora of ESL jobs all over the world and it’s only growing. Surviving the test of time is what it’s all about. What do we mean by this? Well, anyone can show up dressed nice with a clean haircut, but can they teach? Now no teaching environment is the same, but if you want to find a decent job you’ll need necessary training. 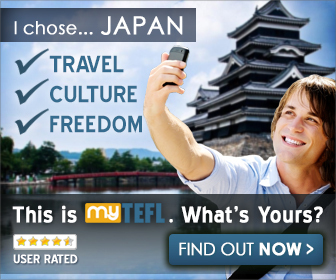 You don’t get a TEFL because you just want a job. It’s so you don’t spiral downwards into a crash and burn take-off and landing when it’s time to teach. If you were going to go camping for a few weeks with no experience wouldn’t it be nice to get some training? Preferably survival training just in case something goes wrong. Just in case when certain situations arise you know exactly how to act rather than figure it out as you go. Well with teaching, situations will arise and your true colors will show over time. It’s not hard for other colleagues to know if you know what you’re doing or simply lost. Present, Practice, Produce. Any TEFLer will and should know about this. 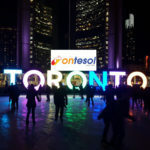 It’s the most popular concept of ESL teaching given the students’ lack of familiarity with English. Presentation – You gain the attention of the class and introduce familiar or new material. It’s always better to put the language in a context that is relevant to your students. You give them examples and even drill necessary vocabulary with them as a class. Think of it like showing the kids the correct form on how they should hold and shoot a basketball. Practice – Now that they know. With your limited assistance you get the kids to start applying the language in a series of situations. Give them a chance to get a feel for everything and even ask questions. Again, now you’re letting the kids pick up the ball and take some shots. You’re still right next to them letting them know their mistakes, but you will have taken a few steps back at this point. Production – Game-time! Now you give the students an activity set-up by you, where they will have to apply their newly learned skill in context. At this point you should be completely removed from the activity letting students either work together or alone to fulfill the learning objective. Now we’re not saying if they still don’t get it at this point forget about them. But this is the the best way to see if they have retained anything you taught them. Once again, now it’s like there first game of the season. You have to just hope they apply what you taught them correctly. Stepping-in only when it’s most necessary. Now that you know this you have a simple, but very basic idea on the construct of an ESL learning environment. There are still many different ways in how you can choose to conduct the classroom. So how do the students learn? There are two very common styles of teaching which we’ll talk about right now. Teacher centered learning is a style of teaching where the teacher is the center of the classroom. In a nutshell the teacher dictates what the students will learn, how they will learn and on what time-frame they will learn it. In this style the student takes on the responsibility of following his/her teachers format. As a teacher, you are the center of attention as students put all their focus into you. Most activities are done separately and collaboration is discouraged. Students are forced to challenge themselves and figure out answers on their own. If the teacher has good classroom management skills the class will be well under control and focused on the teacher. Teacher has the ability to decide when it’s the best time to introduce crucial material. It’s a useful style for reading and writing, but not so much for listening and speaking. At the end of the day you want your students to be able to actually speak! Can be super boring for students. Especially if they don’t understand because you speak too fast or they’re just not up to level. Attention spans are short for those who don’t understand. Creative input from the students is all but non-existent which in turn makes most lessons unrelatable to their everyday life. Now with student-centered learning the student is the center of attention and you the teacher aren’t as involved. Sure you have to pre-teach the material necessary to allow students to fulfill certain tasks/activities, but you’re nowhere nearly as involved. In a sense you share the construction and design of the course with the students. Students are encouraged to work together on deciding what they’ll take away from each lesson. It gives the kids a chance to work together with one another using their new language in a controlled and uncontrolled environment. Great for developing social skills on how to collaborate as a team without the direction of the teacher. All activities are more fun when the teacher gives the students more freedom to apply the language. You may get some super-shy students who just don’t want to participate. Can be difficult to facilitate while making sure all students are effectively using the new grammar for the task/activity. Personally, we believe a student-centered environment offers a lot of benefits for ESL students. It allows them to test their new language and forces them to develop social/collaborative skills that will be important for their future. It gives them experience in rapid thinking for on the spot responses and creating responses unique to themselves. There are times when a teacher-centered environment can be better though. For instance, short classes. Some schools only have 50-minute classes and trying to implement a student-centered environment may be difficult given the time. You need to pre-teach the material, show examples, common mistakes and special rules. Moreover, you have to account for questions and extra guidance needed for some students. Just as important as learning how to teach is understanding the cultural background of the country you want to teach in. You’ll learn how to act in this country, certain tips, what to avoid and what you need to do given you might find trouble. Although, you can find a good bit of this info online it doesn’t hurt to get a bit of perspective from people who have been in your shoes. Obviously the perspective of a digital nomad will vary greatly than that of a ESL teacher. An ESL teacher is immersed in everyday life with locals while the other is a tourist who makes money online and only needs a laptop. The experiences and lifestyle of the two are quite different. After reading over the PPP method you should have somewhat of an idea on how to create and implement your lesson plans. If your job has already pre-created the lesson plans then awesome for you, but you still need to decide how you’re going to go about teaching it. The last thing you want to do is read from the book as it suggests your unprepared and boring. You more than likely won’t be busting yourself staying up day and night to create lessons. 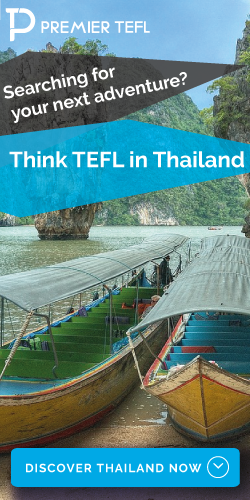 Having the knowledge of a TEFL makes you less of a hard worker and more of a smart one. You’ll get the tips and tricks that will allow you to effectively teach all the while enjoying your new home abroad. Of course there are some things the training can’t prepare you for but such is life. Some lessons can only be learned through experience. 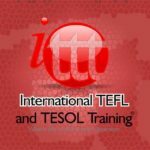 So do yourself a favor and get a TEFL certification. For less than $400 you can enroll in a course and you’ll see a return from your investment in 2 months time. Given you take a full-time job. If you have any questions please comment or send us an e-mail! What are your thoughts on a student centered program for kids that are more introverted? Does this still work as well for kids that aren’t as inclined to speak up in front of their peers or in a group? I know that as an extreme extrovert I agree that this program would work fine for kids like myself (when I was young), but I wonder if that’s best for kids that are less interested in the social interaction portion, but still have to learn English for some reason or another. Are there any benefits to familiarity with conversational or written language of the students? I find that a bit of language learning delivers a lot of cultural understanding, but it isn’t the only way. Most TEFL teachers I’ve bumped into were in Japan, where I’d learned some spoken language. I think I have almost as much Thai cultural understanding from immersion without much spoken Thai, but it isn’t the same. Thoughts? In most cases, or at least out here in Asia, our experience has been that trying to communicate with the students in their native language won’t motivate them to speak. If you were to speak Thai to the students it will only encourage them to speak more Thai with you rather than English. Communication would be more effective, but given the 1-2 hours a day you have with them that will be the only time of the day that they will try to speak English. 9/10 of these kids don’t use English once they walk out of the classroom.